Trent Basin has been shortlisted for another prestigious national award. The development, which forms part of the ground breaking regeneration of Nottingham’s Waterside, on the River Trent, has been acknowledged for its high-quality design approach, by being shortlisted in the Housing Design Awards 2019. The awards, now in its 71st year, is the longest running awards programme in the country and is dedicated to promoting excellence and sustainability in home design, championing developments which offer innovative solutions to today’s housing design challenges. Recognising the collaborative work between Trent Basin’s multi award-winning developers, Blueprint and Sarah Wigglesworth Architects, the development has been listed under the project category, which highlights schemes that have planning permission but have not yet been completed. The European-inspired architecture of the scheme centres around its public realm, walkways and a new public square overlooking the River Trent. Combining city life with waterside living, each home, footpath and open space has been designed to maximise viewpoints to the river, while also incorporating low energy principles at every turn. Samantha Veal, Chief Executive of Blueprint, said: “At Blueprint, we are proud to see the innovative design of Trent Basin recognised in these prestigious Housing Design Awards. “Our ethos from the start of the scheme was to create a strong sense of community, where residents could enjoy unrivalled views of the river and an instant oasis of calm; whether they are walking along the river paths or enjoying the sunshine from their own roof terrace. We have strived to implement this vision throughout in every aspect of the design. 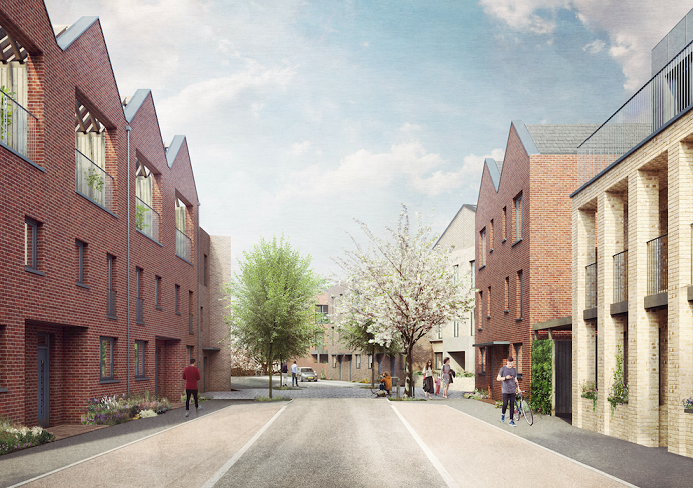 Eleanor Brough, Associate at Sarah Wigglesworth Architects added: “Sarah Wigglesworth Architects are delighted to be working with Blueprint to deliver Phase 3 of the Trent Basin waterside regeneration. Building on the principles established in the wider masterplan and previous phases, SWA has developed a unique set of house types, set within a public realm which prioritises healthy lifestyles and access to the waterside neighbourhood.